In an internal poll, ten out of ten 219ers strongly believe that custom tracked objects can enhance the sense of presence within a virtual reality experience. Tracked objects aren’t limited to gaming accessories. If the user’s VR experience would be enriched by the ability to hold and interact with a physical object (a medical device, a consumer product, etc.) in “real reality,” that object must be tracked. 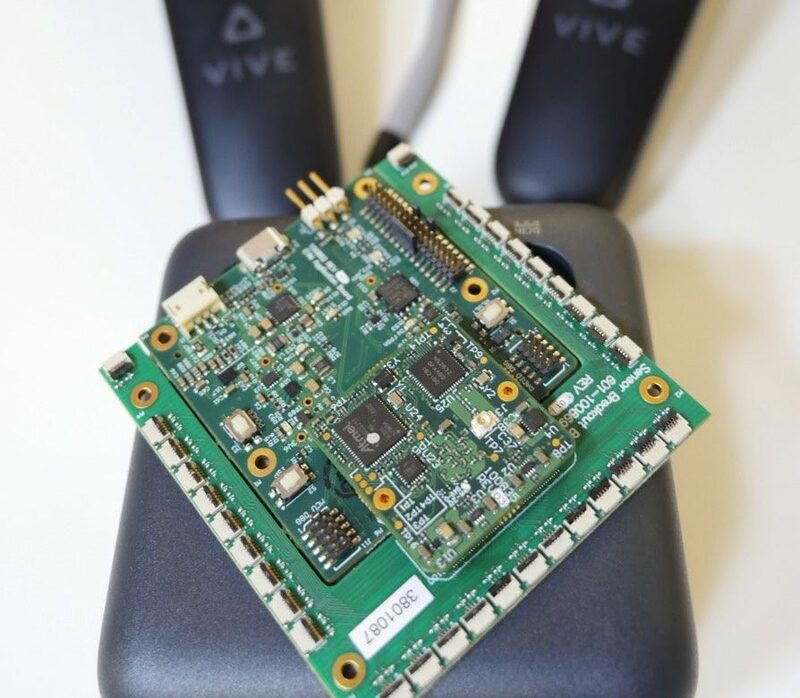 We feel that the HTC Vive system is the best COTS option for room scale VR right now and we were excited when Steam opened up their Hardware Development Kit (HDK) a few weeks ago. If you want to develop custom tracked objects, the seminar put on by Synapse (a $3k+ investment) will be critical to your success. Since 219 Design believes that VR will become an important component of our service offering in the upcoming years, we jumped on the opportunity to add another tool to our tool belt. 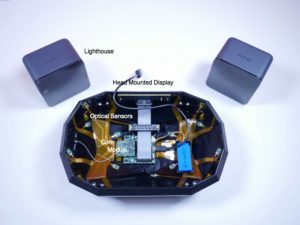 Developed by Valve, SteamVR Tracking allows you to track the position of objects in a room in real-time with sub-millimeter accuracy at update rates up to 1 kHz. The tracking system consists of two base stations (aka “lighthouses”) and one or more tracked objects. 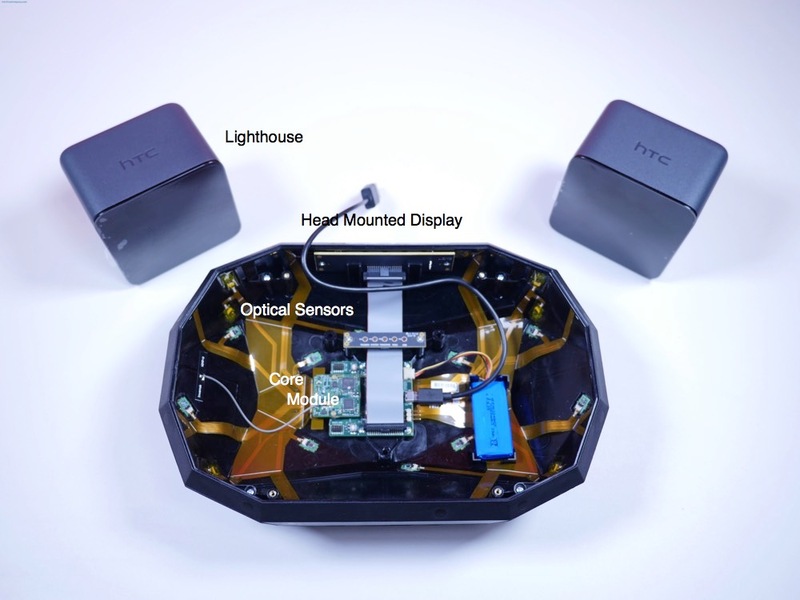 Each tracked object has multiple optical sensors and an IMU. The lighthouses sweep an IR laser around the room, recording the laser angle and time. The tracked object records when the laser is detected by each sensor. That information, along with the tracked object’s geometry, is used to determine its orientation and position within 3D space. 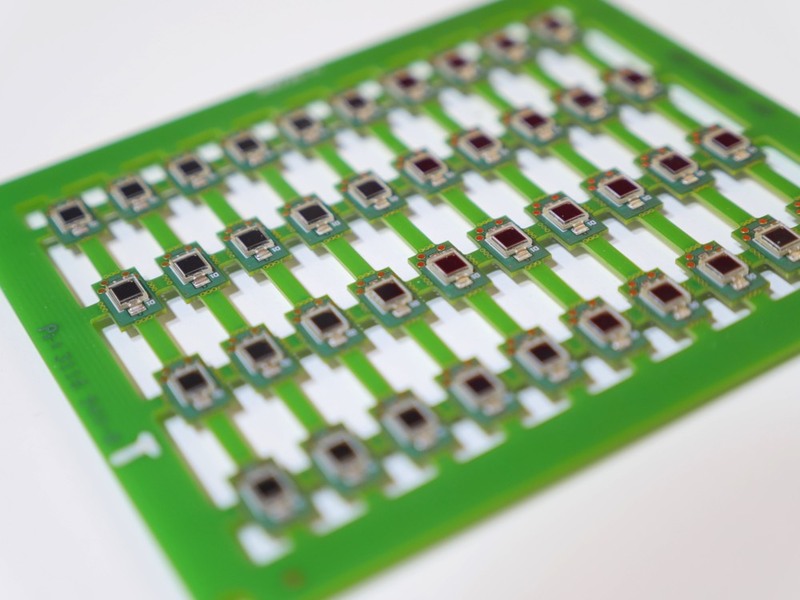 The IMU’s primary purpose is to reduce jitter and help with occlusions. To make sure that the object’s position can be continuously tracked, it must have enough optical sensors visible from all directions. This will allow it to detect the lighthouses’ line sweep regardless of how it’s being held or where the user is standing. This must be kept in mind early in the design stage, as it significantly constrains the mechanical design of the tracked object. 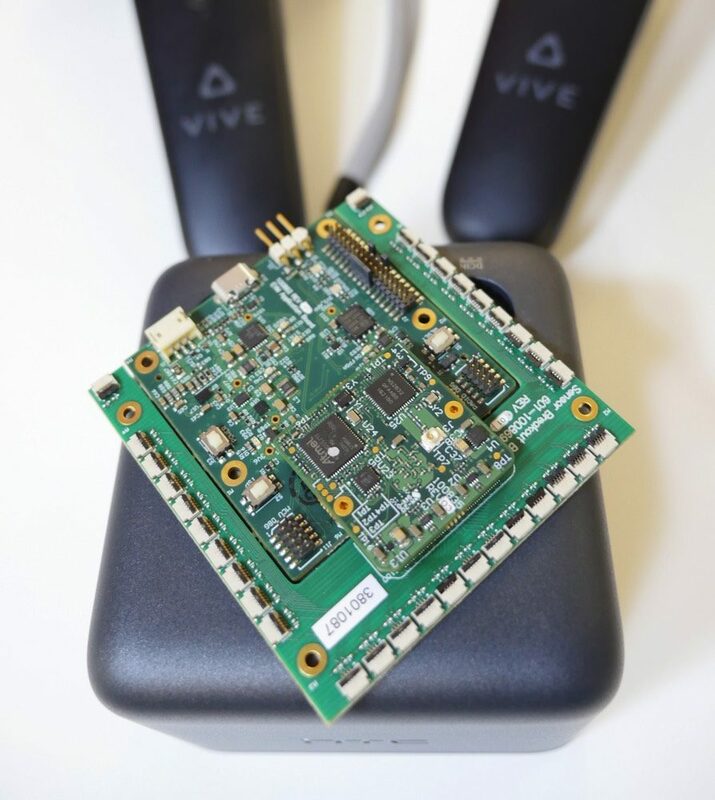 To reduce the number of physical prototypes that need to be created and tested, Valve/Synapse has provided a tool called HMD Designer. 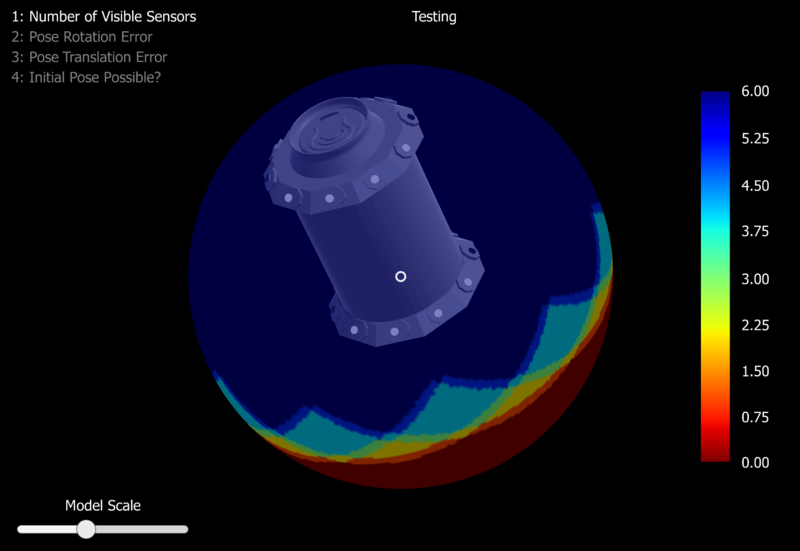 It not only helps choose optimal placements of the optical sensors on your tracked object but also simulates the expected performance of a particular optical sensor layout. Every tracked object must be calibrated. A JSON configuration file organizes the data into the required format. This file contains information about the position/orientation of all the optical sensors as well as calibration of the IMU, information about the type of device, render file name information, and more. The heart of the tracked object is the so-called “core module.” This circuit board has an FPGA, MCU, and inertial sensors. Valve/Synapse provided us with the binaries for the FPGA and MCU, but no source. Valve/Synapse also provide native Altium files and gerbers for this design so it’s simple to fabricate additional copies, or to customize the board design for a specific application. Log Files: The SteamVR software logs all connections and debugging information. This wealth of information about error types can help you understand why it can’t track your object. The Lighthouse_console: This command line utility allows for the streaming of IMU as well as optical data. If you have electronic issues or believe that your IMU or an optical sensor is not behaving correctly, you may be able to diagnose it through this utility. It is also useful for general control and testing of basic controller functionality. Try It: Sometimes it’s simply a mapping issue of a particular sensor. If that is the case, slowly exposing it in the SteamVR space may find the issue. What’s Next for 219 Design? We are already designing custom tracked objects! We have started working on a device that uses VR tracking for a very exciting, but confidential client. And, we’re having some fun kicking around ideas like a tracked beer koozie so you never lose your drink while you’re in VR again. We’re looking forward to working on more VR-related projects in the near future. This class has made it clear that our interdisciplinary way of doing things makes us a great fit for this kind of work. Our in-house staff of software and firmware developers, mechanical and electronic engineers, and product and user interface designers work together to provide better outcomes for our clients. If you have a project that could benefit from SteamVR Tracking, you can reach us at [email protected]. Read more about 219 Design’s experiments in VR on our News page and here.